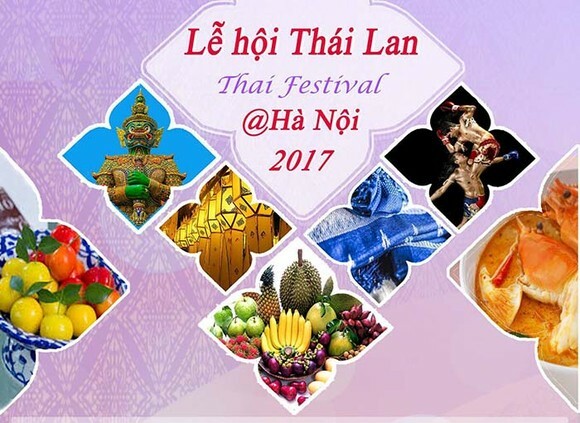 The 9th Thai Festival 2017 opens at Thong Nhat Park in Hanoi on September 30. The event aims to strengthen Thailand-Vietnam bilateral relations and promote Thailand in every aspects through delectable national cuisine from various regions of Thailand, finest local products, Thai culture and tourism. The 2-day long festival will introduce to local visitors art performances by more than 70 exhibitors and performers coming from Thailand, such as music show, from Sakon Nakhon Province, modern and traditional Thai performance by Sbunnga Dance Troupe from Chiang Mai Province, mini concert by the Thai popular singers (Palaphol Pholkongseng and Bell Supol), Muaythai boxing, Thai cooking demonstration by Thai food experts and lucky draw winning amazing prizes. All proceeds of the event after deduction of costs will be donated to the National Fund for Vietnamese Children, . The event runs until October 1.